- The Fukaji Temple is said to have been established in 701 A.D. (1,300 years ago) by the legendary preist GYOUKI. He created a "Jyu-ichimen (eleven face) Kan-non statue" and donated the statue to a small temple called "Raigo-in." - In the Heian Period, FUJIWARA TADAHIRA visited the temple and prayed to the Kan-non statue. Then the Kan-non image frequently appeared in FUJIWARA's dream while he was sleeping. To worship the Kan-non further, TADAHIRA donated several buildings to the temple. A statue of TADAHIRA, commemorated in those days, is still stands in the temple. - At the end of the Kamakura Period, ASHIKAGA TAKAUJI rose to power. SHINYO, a cousin of TAKAUJI, became the master priest of Fukaji, prayed for TAKAUJI. The prayers seemed to have been answered. After that, TAKAUJI won many successive battles against his political enemies, which made him powerful enough to beat the Kamamura Government. TAKAUJI made it to became the first SHOGUN of the MUROMACHI government. He attributed his success to the Kan-non power of Fukaji. To express his gratitude,he donated a large amount of land to the temple. 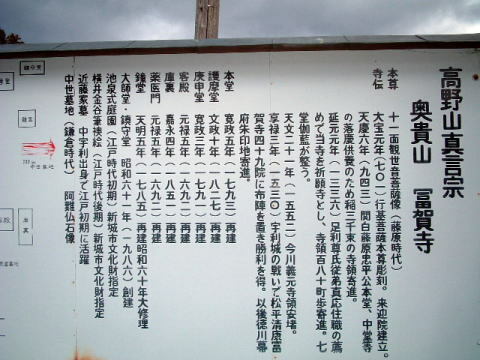 "The Sanzen-Butsumyou-Hoto" (the scroll of the tower of 3,000 Buddha names) is believed to have been given at that time. - In the Azuchi-Momoyama Period, The IMAGAWAs came to power. The temple documents show that Fukaji was supported by governemts. - At "the Uri-Castle Battle" in 1530, MATSUDAIRA KIYOYASU used Fukaji as his operation base. - Throughout the Edo Period, Fukaji was protected by the TOKUGAWA administration..
- A major blow, however, hit Fukaji after the World War II. 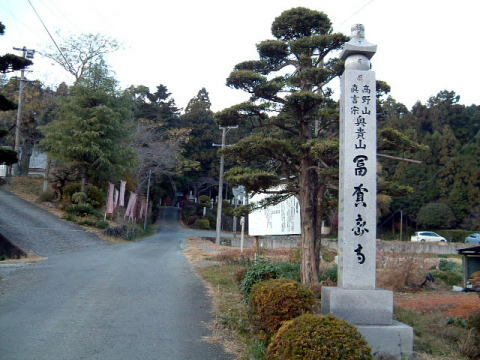 In the process of democratizaion after the war, Fukaji was deprived of most of its land possesion. Once being a huge temple with eighteen different halls, Fukaji has now become a cozy temple with 100 parishioner households. The temple lost its financial privilege, so temple staff members went out into the world to make their living.